No matter how great shoes. Sometimes some help is needed. And I so prefer preventing blisters from healing them. 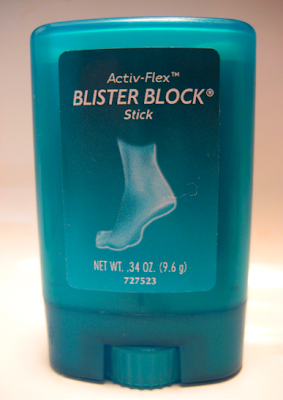 Supposedly Blister Block is sold everywhere but can be tricky to find. So if you see it - buy it.